Betcoin is one of the biggest bitcoin sports betting and poker sites in the world. BetCoin are part of the U.S. facing Winning Poker Network who offer Omaha/Hold'em cash games and high-traffic poker tournaments. BetCoin.ag have now closed their cryptocurrency poker room. The best place to play bitcoin poker is now Nitrogen Sports Poker. BetCoin only accepts bitcoin. No dollars or euros. Global poker site. Play from the USA or anywhere. Part of the high traffic Winning Poker Network. NOTE: BetCoin is only available on iPhone and Android if you download the free Puffin browser (Flash enabled). Betcoin is a US-friendly market leader in bitcoin online gaming. Not only does the site support a superb poker experience, you can also enjoy casino and dice games along with sports betting. The poker games are provided using the Winning Poker Network client, and Betcoin shares the scheduled tournaments and Sit & Go's with other WPN sites. 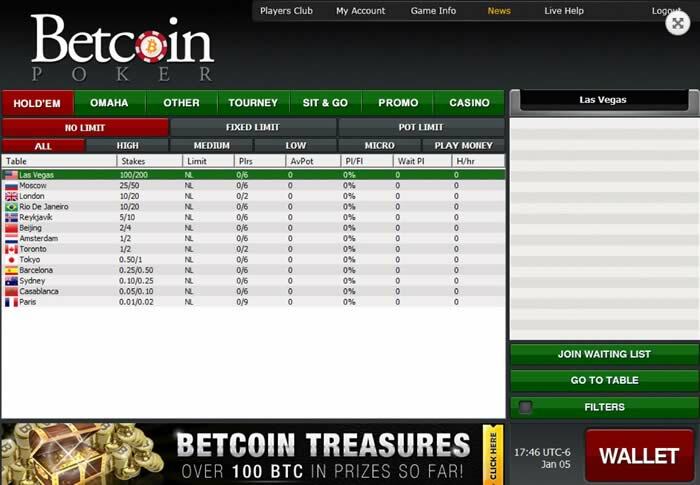 This review tells you everything you need to know about Betcoin Poker. To start with you can find out how to access the site on your iOS or Andorid device, along with the different bonuses on offer. 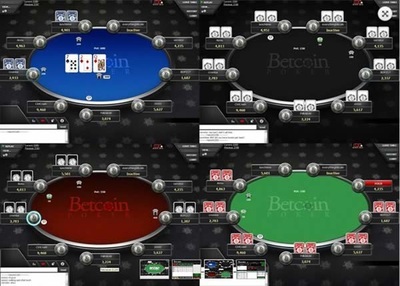 Then Betcoin Poker's features and game-play is covered, before finishing off with a summary of all the good reasons you have to start playing at Betcoin. 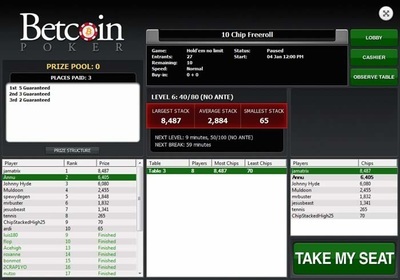 Betcoin Poker uses a flash powered client, meaning you can access it through any desktop browser. As Android and Apple iOS devices are not normally compatible with flash, you need to first download a flash-friendly browser first. Betcoin recommends the Puffin Web Browser, which is free and can be easily found in the App Store on iTunes or Google Store. While the flash client does the job, the good news is Betcoin have plans to release a HTML5 version soon, which should make the experience even smoother. In the meantime, as the current client is web-based, you can access your account anywhere you want, through any device. Once you have gone through the few simple steps to register your Betcoin account, you can claim a welcome bonus which matches your first deposit, up to 1 BTC. This released into your account at a rate of 15% the rake and fees you pay on bitcoin only games. You have 90 days to clear it and WPN tournaments are not included. In addition to this, Betcoin provides New Depositor Freerolls, along with regular daily freerolls which everyone can join. The site also offers rakeback for table starters, a number of guaranteed tournaments and plenty of other bonuses tied in with their casino games. Anyone used to playing online poker will notice definite similarities between Betcoin's poker client and those used by the larger poker sites. The tab system is very efficient at filtering through the games, and you can easily access the cashier, casino or sports betting areas. Games are split between Hold'em and Omaha cash tables, Sit & Go's and Tourneys. The cash tables let you further filter by selecting the betting type and the level of stakes you wish to play at. Meanwhile the tournaments allow you to select the type of tourney you wish to play, along with the buy-in level. Cash games range from 0.01/0.02 BTC up to 500/100 BTC. While you can find people waiting for high limit heads-up action, most active tables can be found at the Low and Micro stakes. Most of the low limit tourneys and SNGs are bitcoin only games, whereas the medium and high stakes games run mainly in USD, up to $500. As well as finding out game information, in the lobby you can access your profile page, check which games you are registered in and find players you have tagged as 'buddy'. Tickers are also displayed, showing the funds in current bad beat jackpots and rake races, like the Sit & Crush. Joining the games generally takes a few moments, although once there the action is quick. The tables again bear a familiarity to other sites, which is no bad thing as everything is very clear and user-friendly. The table itself is red in color, which stands out well against the dark background, and you can find Betcoin branding throughout. In the top right you can find options allowing you to view a hand history or add chips. You can also adjust the settings, including choosing to use a 4-color deck, pre-selecting your seat, or change the look of the table. Once seated, you can preselect to call, check or fold or wait until it is your turn. Then the relevant action buttons appear, with options such as raise, call or fold. When the action is on someone, it is clearly displayed how long have left to act, and when bets are placed you can easily read them on the table. When you get the chance to raise, there is a slider bar you can use, or you can increase your bet by clicking different valued chips below. This can be tricky until you get used to it, so take care not to over or under-bet. Betcoin allows multi-tabling which is a big plus. Your open tables are displayed on the left hand side of the screen in a mini-view, and you are alerted when it is your turn. Switching between tables quick and seamless, allowing you to get a lot more hands in, without any hassle. Overall Betcoin is a solid choice if you want to play poker and enjoy all the freedom bitcoin provides. The traffic can be a bit low during daytime in the US, although more games begin to appear as it becomes evening along the East Coast. Betcoin Poker looks the part and performs well on Android devices, considering it still uses a flash based client. 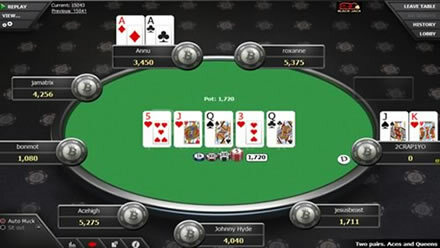 The choice of games cater for all bankrolls, and there is a solid tournament schedule, including freerolls and WPN games. Reviews of other recommended bitcoin and real-money poker sites.